—Nantucket Town Health Director Roberto Santamaria, regarding the decision to discharge raw sewage into Nantucket Harbor following Thursday's break in a sewer main under a street intersection. 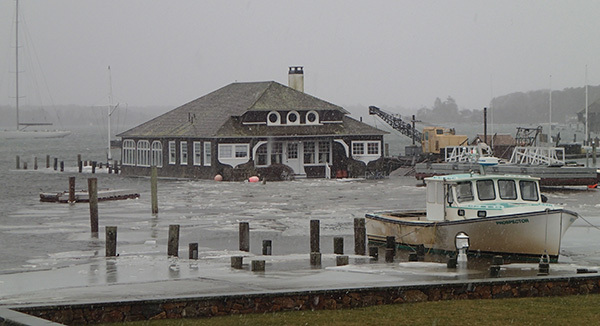 A bypass allowing sewage to be re-routed to the treatment facility was finished yesterday, but in the intervening days over 2 million gallons of sewage flowed into the harbor. 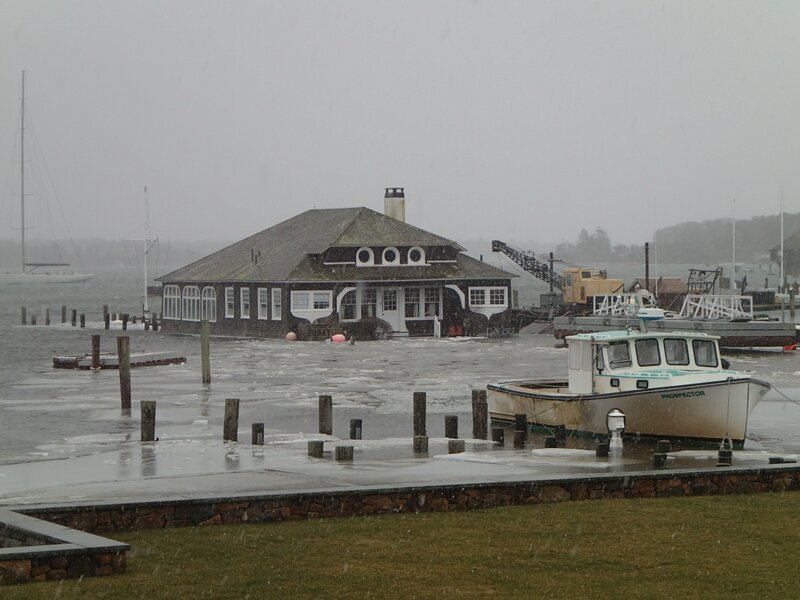 Read more at the Cape Cod Times. 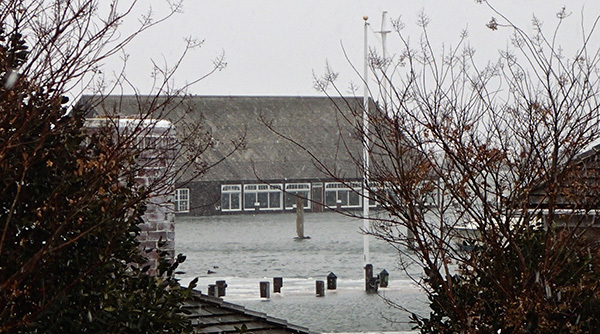 As Edgartown Harbor climbs onto town streets, the Reading Room and Yacht Club threaten to drift out to sea. Photos by Dana Gaines, click for full size. How strange was last week's weather? On January 2, it was colder in Jacksonville (38 degrees) than it was in Anchorage (44). Saturday, Jan. 20, 4:00 pm, West Tisbury Library. 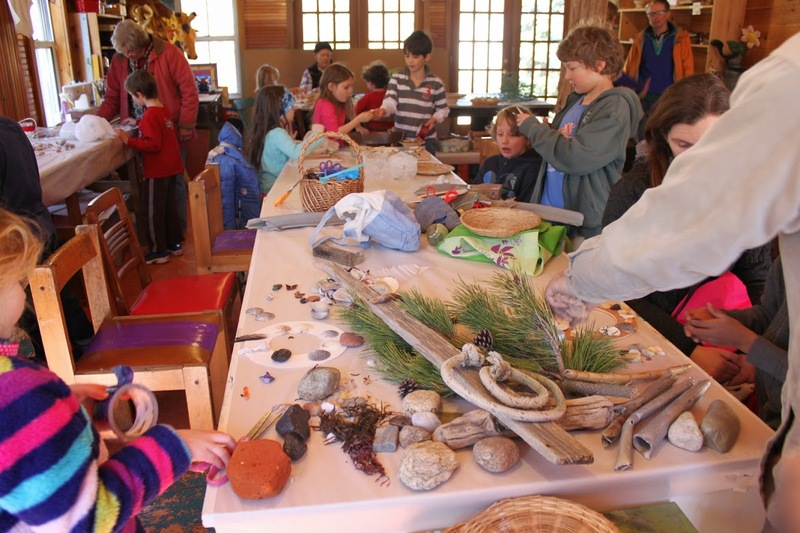 Sassafras Earth Education director Saskia Vanderhoop discusses the importance of connecting with nature for children and families. A free event at the WT Library, with refreshments. Sunday, Jan. 21, 3:00 pm, West Tisbury Library. Learn how to understand your electric bill, electric supplier solicitations, and ways to save energy and money at this presentation by Cape Light Compact. There will be information about home energy assessments, rebates, and more, with refreshments and free LED nightlights to take home. Free and open to the public, sponsored by the West Tisbury Library and the First Congregation Church Green Team. 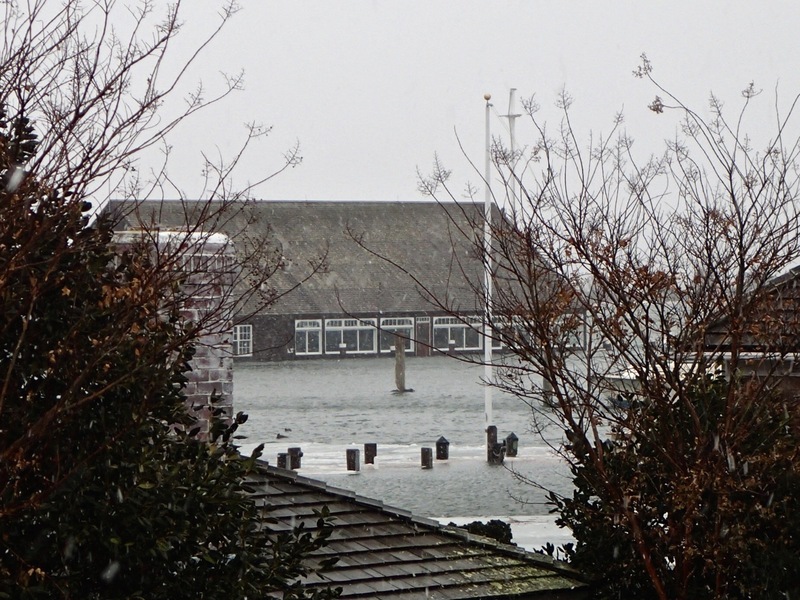 Tuesday, Jan. 23, 7:00 pm, Vineyard Haven. The Manuel Correllus State Forest, by far the largest piece of protected conservation land on our Island, remains in many ways underappreciated. A new group, the "Friends of the State Forest," is forming to promote its interests, for example through advocacy at the state level for increased funding for management and restoration projects. The first meeting will be at the Tisbury Senior Center and is open to all who are interested. 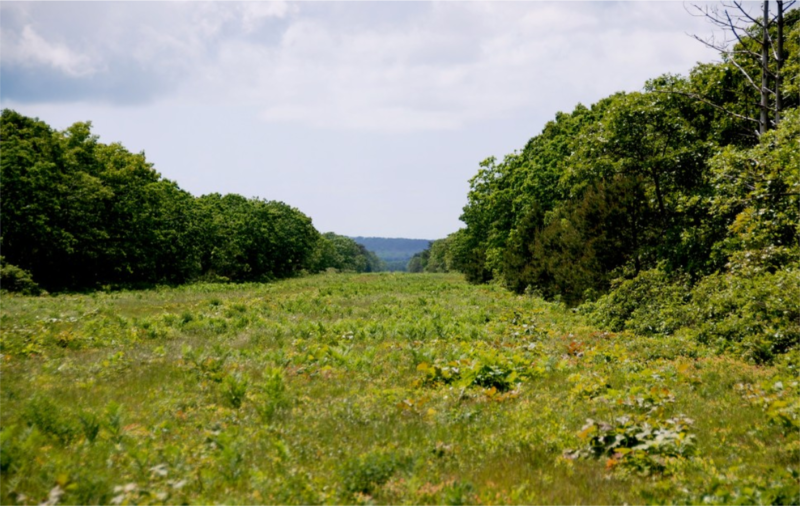 Superintendent Chris Bruno and former VCS Director Bob Woodruff will discuss their aspirations for the Friends, and Josh Nigro, District Fire Warden for Barnstable, Nantucket, and Dukes Counties, will describe the role of the Forest in the overall wildfire management plans for the Island. For more info, email Bob. 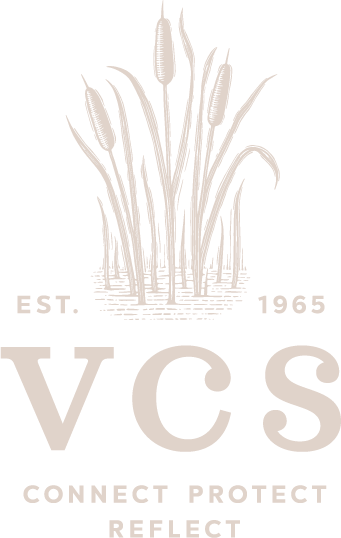 This Sunday (Jan. 14), VCS teams up with Sense of Wonder Creations for a combination Winter Walk and Craft Day. 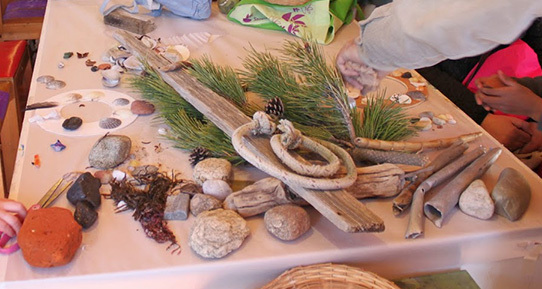 We will start off our adventure near West Chop in Vineyard Haven with a short walk on the shore to collect supplies for creating nature-inspired crafts back at the Sense of Wonder studio. Director Pam Benjamin will supply additional materials for fun projects and VCS will supply cookies and cider. This special program is free and open to kids (and kids-at-heart) of all ages. Meet at 10 am in front of Benjamin Studio (2nd house on right on Grove Ave.). Parking can be found on Main Street right before Grove Ave., in front of the cemetery. For more information, call VCS at 508 693-9588. Workshops are planned for the 2nd Tuesday of the month, from 6 to 7 pm, and will be held at the Island Cohousing Common House (see map for directions). In short, in 2017 humanity continued its steady, if fitful and circuitous, march toward bettering itself. We are, after all, a resilient and highly-adaptable species, fully capable of taking on (eventually) the very worst of the problems we create for ourselves. From an ecologist’s perspective, though, that Vox article linked above does suffer from a bit of anthropocentrism. Sure, we are (arguably) doing great, but what about the rest of the world’s creatures? Even there, good news can be found if you look hard enough. Surveys indicate that the Porcupine caribou of northwestern Canada and Alaska, previously in steep decline, this summer recovered to their highest numbers since stepped-up management efforts began around the turn of the century. Closer to home (and the subject of this year’s Annual Meeting presentation), new uses of genetic barcoding technology offer the promise of non-destructive population monitoring of aquatic and marine organisms, greatly furthering our ability to conserve life as we work to better understand it.